UNDER THREAT Endangered mossy red-eyed frogs (Duellmanohyla soralia), like this one from Honduras, are among at least 500 amphibian species whose numbers have declined due to chytrid fungal infections, a new tally shows. Batrachochytrium dendrobatidis or Bd for short, a pathogen that’s been widely spread by wildlife trade, is the primary culprit. Bd, first identified in 1998, has caused massive frog and toad die-offs. Though the scourge peaked in the 1980s in Central and South America and Australia, it remains an ongoing threat. The fungus infects the keratinized skin that amphibians develop once they mature and transition from water to land. The resulting chytridiomycosis destroys an amphibian’s ability to regulate the proper flow of electrolytes and fluids through its skin, usually leading to heart failure within a few weeks. Ben Scheele, an ecologist at Australian National University in Canberra, coordinated 40 other researchers with regional amphibian knowledge. 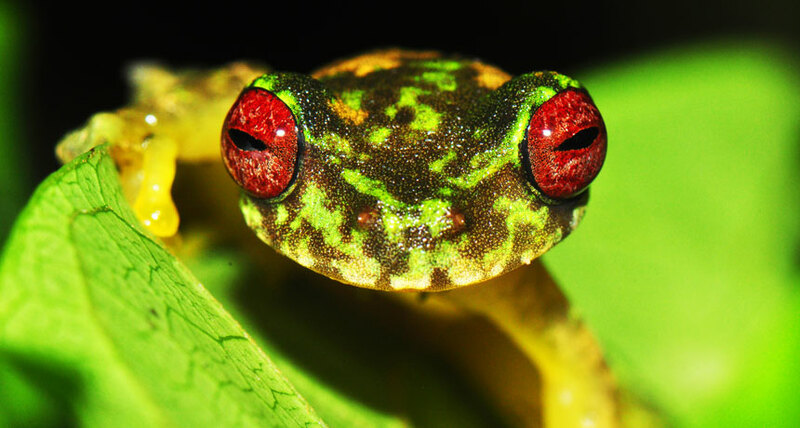 The team analyzed published literature and unpublished data, including interviews of researchers with expertise in 24 countries known to have chytrid infections. In an epidemiological analysis, the researchers integrated the data to determine the severity, timing and geographic distribution of amphibian declines due to chytridiomycosis. Of the 500 affected species, about 40 percent are still declining. And the populations of 124 species — or 25 percent — have dwindled to less than 10 percent of their previous numbers. Hardest hit have been large, slow-growing species that don’t reach reproductive maturity as quickly, species living in wetter areas (which the fungus prefers) or at higher altitudes (where animals are more isolated and have fewer habitat choices). Among the extinct in the wild or presumed extinct: the golden toad, the Panamanian golden frog and the Angelito stubfoot toad. A second related fungus, B. salamandrivorans or Bsal, primarily affects salamanders and was responsible for the decline of one species.